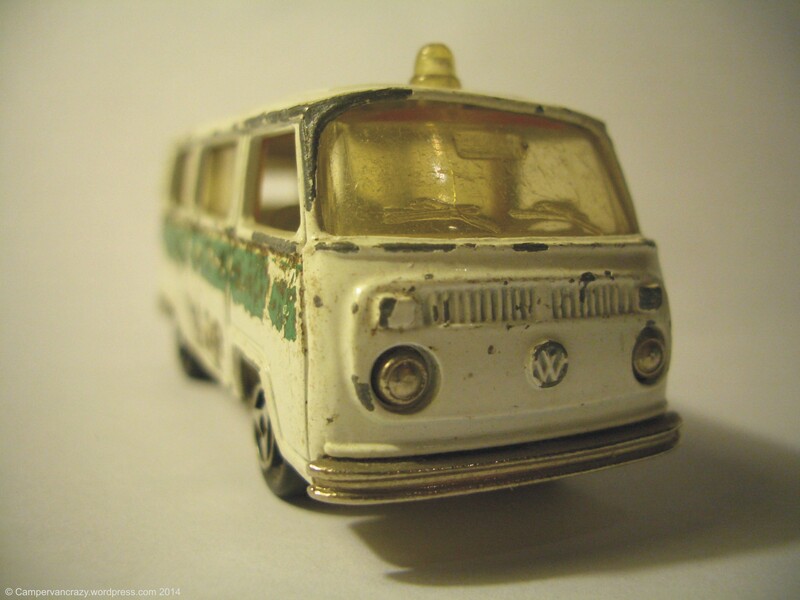 The 10th Berlin VW Bus Festival! 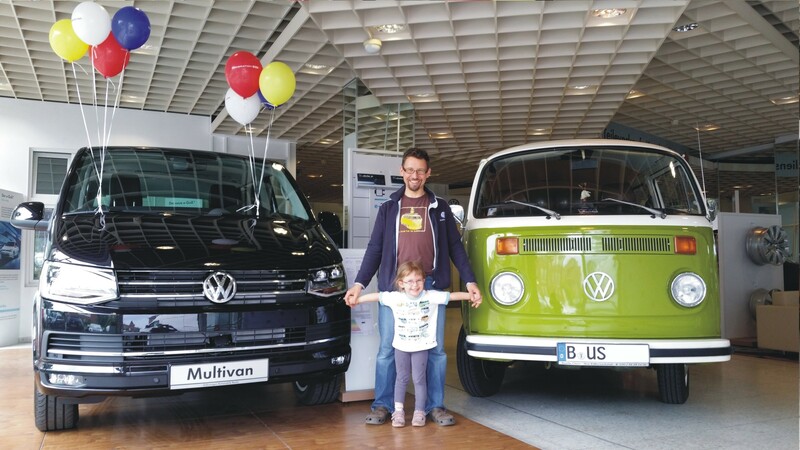 Last Friday saw our little family packing up and travelling some 70 km out of Berlin to an old airfield near the small town of Juterbog, to the annual Berlin VW Bus Festival. This year was the 10th anniversairy, and times are changing: While this meeting was and has always been pretty much dominated by the T3/vanagons, this year there were astonishing numbers of T4, T5 and even T6 buses attending. On the other end of the range there were about two handfuls of bay window T2 buses and one single split window T1 campervan. All these air cooled beauties dutifully photographed by the slightly biased author of these lines. We arrived on Friday afternoon, in time to set up our bus tent while the sun was still shining. Friday evening was then pouring down with rain, but Saturday and Sunday were beautifully sunny and dry. The activities were the usual ones, a 1/8 mile race down one of the old runways (the fastest buses made it in 11-12 seconds, but a bicycle rider got an impromptu extra trophy for making it in 38 secs – faster than some of the slower buses); a driving skills course for the 4WD Syncro bus lovers (this year an obstical course on the runway as the sandpit was sadly closed, for environemental reasons); kombi picture painting sessions for the small ones with a big handing over ceremony of certificates and bags with presents for all the participants, lots of life music on stage on the two evenings and a show and shine competition on Saturday night. This year I took the plunge and for the first time took part and presented our bus Taiga Lily in all her beauty to the expert audience! We did not win, but it was lots of fun. The winner of the show was a perfect shiny T3 fitted with a 12-cylinder (W12) engine which Volkswagen usually sells in Bentleys and the Phaeton. Hard to win against such competition 🙂 Hope you will enjoy the pictures below! This beauty is a 1977 T2b bay window bus from Switzerland. Love the color, ocean blue! Another theme were ex-german postal service high roof vans. 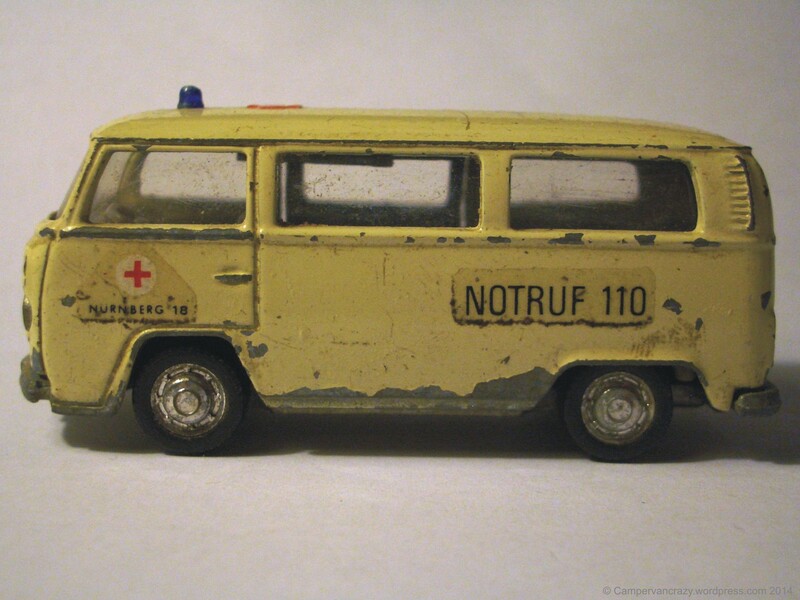 They originally came in (West-)German Postal Yellow, as panel vans (no side windows in the rear) and with permanent high roofs where the sliding door extended into the roof, to allow quick access to the packages in the back without having to bend down while entering. Today these buses are usually re-sprayed in other colors but you can often spot the original yellow on the inside. A mint green and a blue ex-German postal service camper. And then there was this very special late bay window camper from 1979 (probably with the 1600 ccm 50 h.p. engine) which started its life with the Swiss Postal Service: The usual high roof panel van, also with the sliding door extending into the high roof, this time on a T2b base, but with right-hand steering in a country where cars usually come with left-hand steering. This set-up made it easier and safer for the post man to hop out of the car and empty the post box. Lots of nice original details on the dash board (1050 kg cargo capacity, original pull switch for the Webasto additional heater, reminder that the allowed maximum speed was 100 km/h). 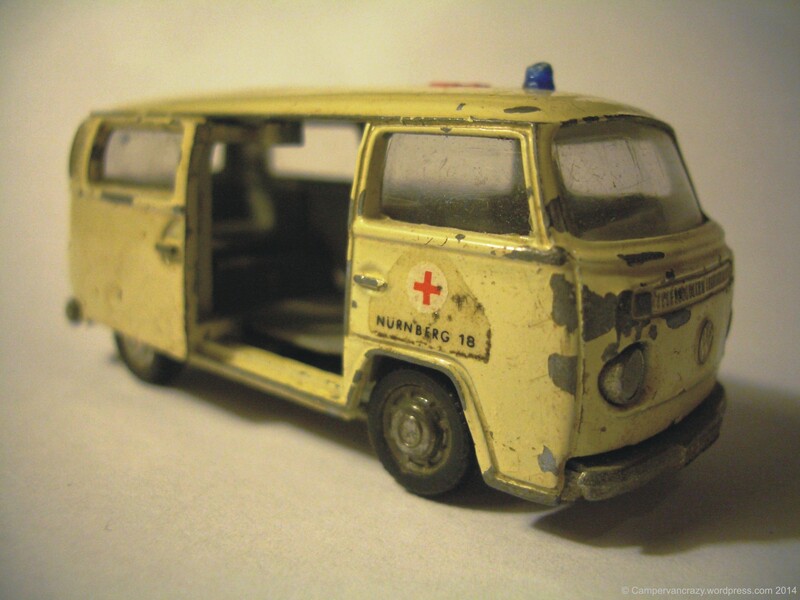 There were a couple of buses that came with a QEK Junior, a caravan from East Germany which was developed to be light enough to be towed by a Trabant, the east German equivalent to the VW beetle. They were apparently produced in two versions were which weighed empty 360 and 400 kg, with a maximum weight of 400 and 500 kg, respectively. This is light enough even for our late bay window bus, so we keep thinking of adding one to our Taiga Lily when the kids get older. Also very cool: Volkswagen LT trucks, designwise to me always the big brothers of the T3s, built between 1975 and 1995, here rebuilt into camper vans with high roofs and as the 4×4 versions. Hadn’t noticed these at all in previous festivals, and here there were two of these giants. Pretty cool beasts! Here is the only split window that made it to this show: A panel van from 1961, with doors in the back on both sides, which came up from South Germany. Wonder if this van was originally used by a fire brigade, with the red top, the red bumpers and the coat of arms on the driver’s door? Doing the dishes with a few on the race track! The winner of this year’s Show and Shine: T3 bus with a W12 engine. We are back in Australia! We made the long trip from Berlin to Melbourne two days ago, this time with a stopover in Abu Dhabi instead of Singapore. Now we are slowly getting over the jetlag. And we have four weeks ahead of us to visit family and friends, in Geelong and Melbourne. Australia gave us a warm welcome, with late summer temperatures in the mid- to high twenties. First time this year that we are all wearing sunscreen, sunnies and T-shirts. And kombi-crazy Australia did not let me down either, with a first T2 Westfalia campervan sighting already on the way from Melbourne airport to Geelong. Looking forward to seeing many Volkswagen buses in the next couple of weeks! Late summer day in Geelong. 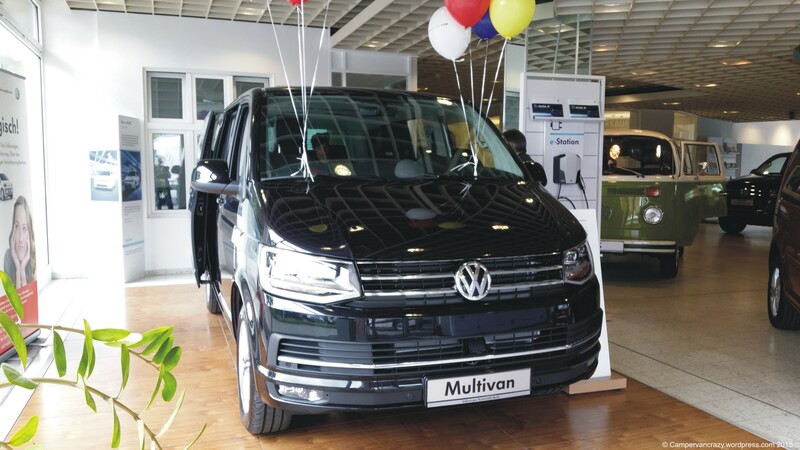 This weekend, all Volkswagen dealers in Berlin presented the new generation of the VW bus, the T6, to the public. 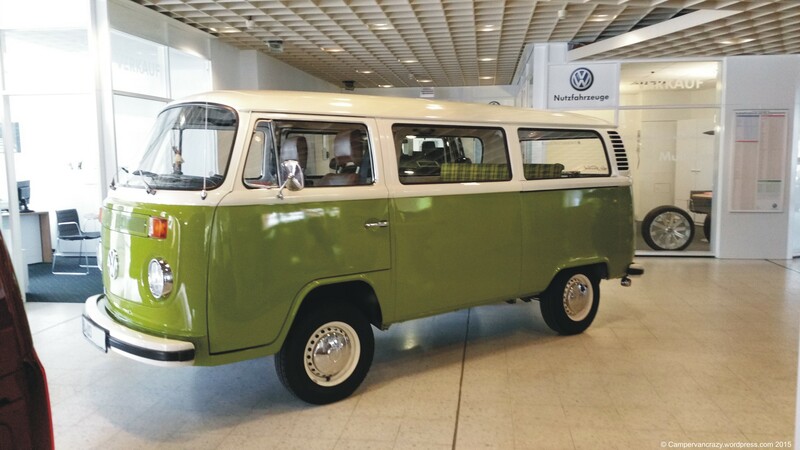 To emphasize Volkswagen’s long history of building the bus, they organized that in each showroom an old kombi, T1 or T2, was present as well. And Taiga Lily was one of the chosen ones! So Thursday I had a long summer evening and night of washing, polishing and vacuum cleaning. 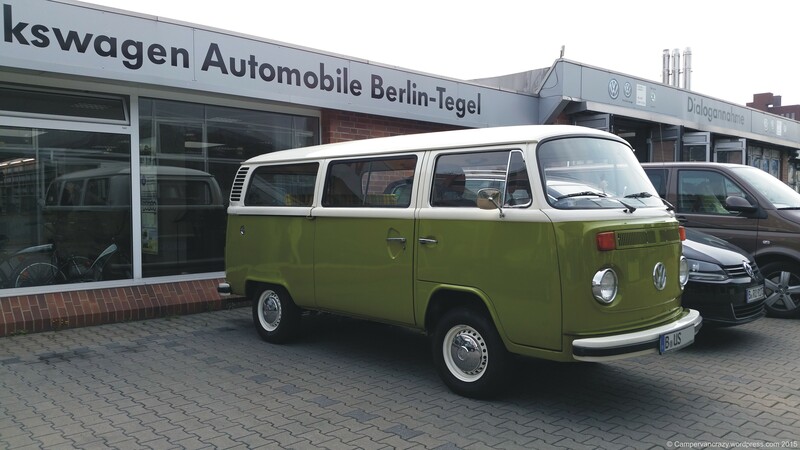 Friday morning she went to the VW dealer in Berlin Tegel. I picked her up again this afternoon, together with our eldest daughter, and we had some good father-daughter bonding over kombis. Though our little one was most excited about the large box of chocolate kombis we were given at the very end. We came prepared – check out our kombi T-shirts! What an exciting weekeend! Getting all shiny and clean! This beautiful video is doing the rounds at the moment. Looks like part of an official farewell campaign from Volkswagen Do Brasil, and comes in a Spanish version as well. 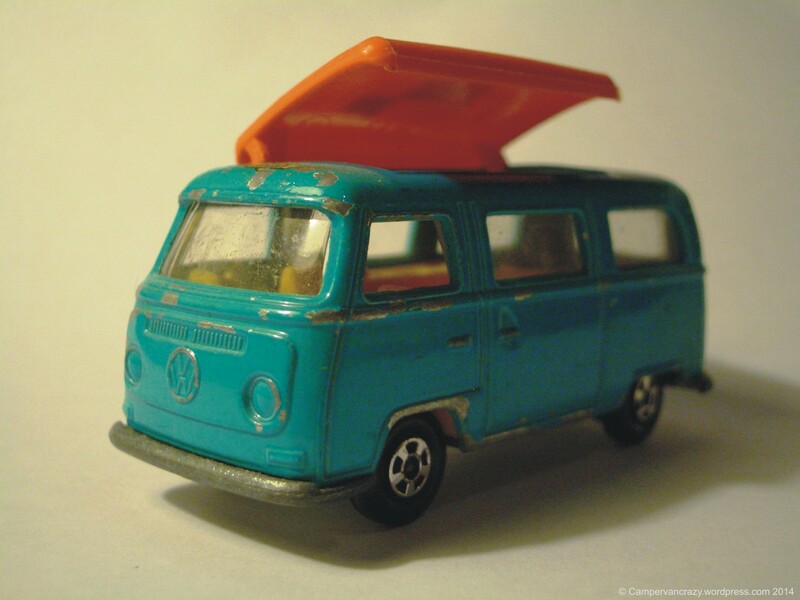 Also featured on the Viva Westfalia blog. When you look on YouTube there seems to be a whole series of personal farewell videos from Brasilian kombi drivers in the same Volkswagen Do Brasil format, like this one from a food van owner. Thanks to Markus for sending the link! 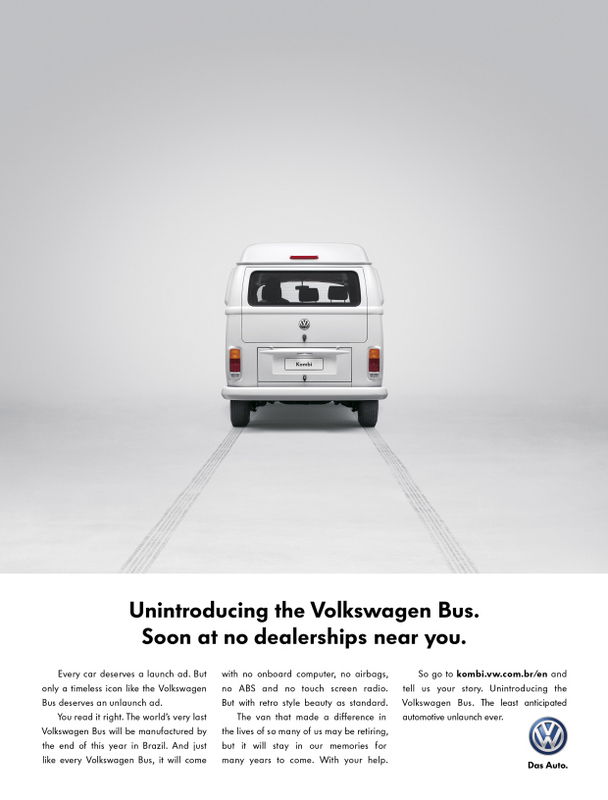 This month the last newly-produced T2 Volkswagen bus is due to roll off the production in Brazil. It’s the end of an era having been in continuous production for 64 years with 3.5 million sold around the world. 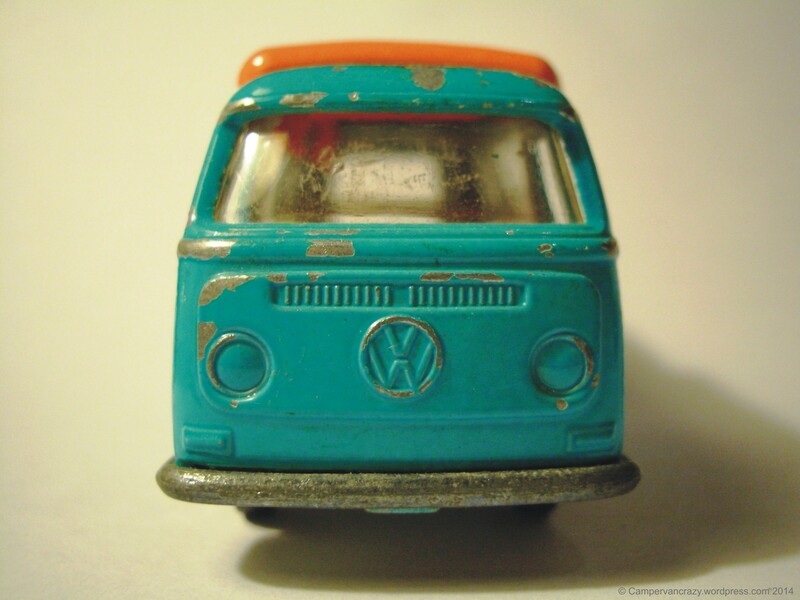 Whether you know it as a camper, bus, kombi or van, it’s a vehicle that has stood the test of time. It’s cheeky looks, durability, flexibility and simple mechanics mean that they just keep on going … and going …. and going. 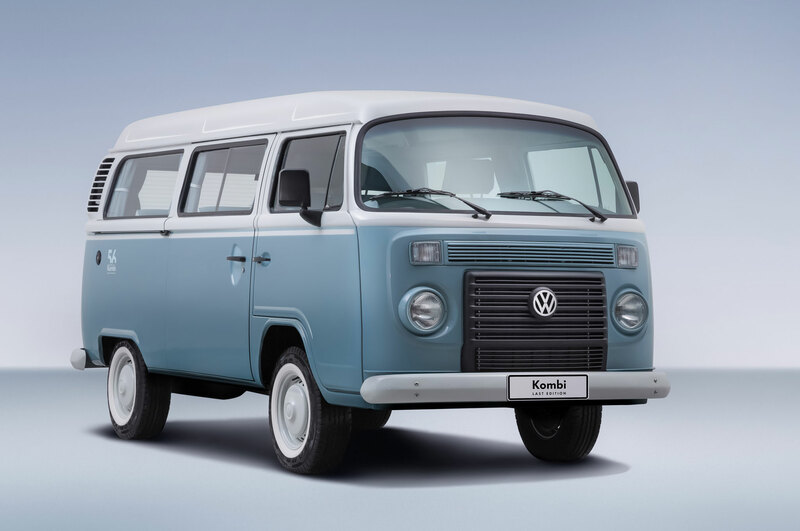 Sad news for the kombi world: As you may have read already on ZeroToSixty-eventually or in the newspapers, Volkswagen of Brazil will stop the production of the kombi (aka the Bay Window Volkswagen bus or T2) at the end of 2013, so basically today. 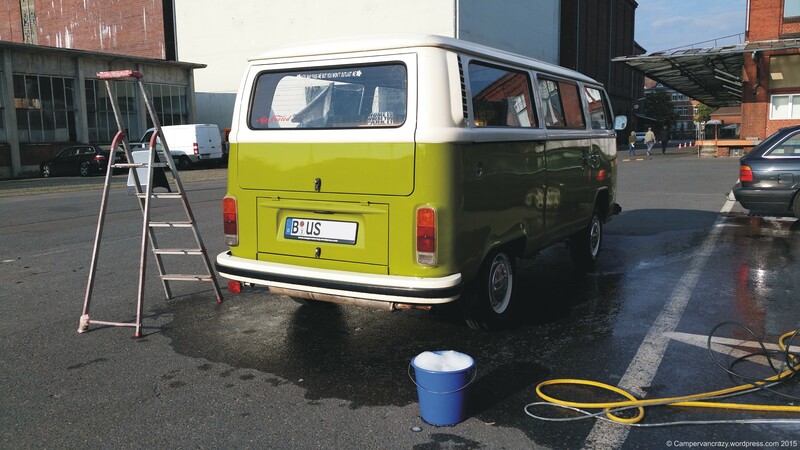 In Germany, the production of this version of the Volkswagen transporter started in 1967 and ended in 1979 when the wedge-shaped T3/T25 was introduced, which in turn was succeeded by the front-engine T4 in 1990 and the current model, the T5, in 2003. But production went on in Mexico and Brazil, in Mexico until 1994 and in Brazil up until now. 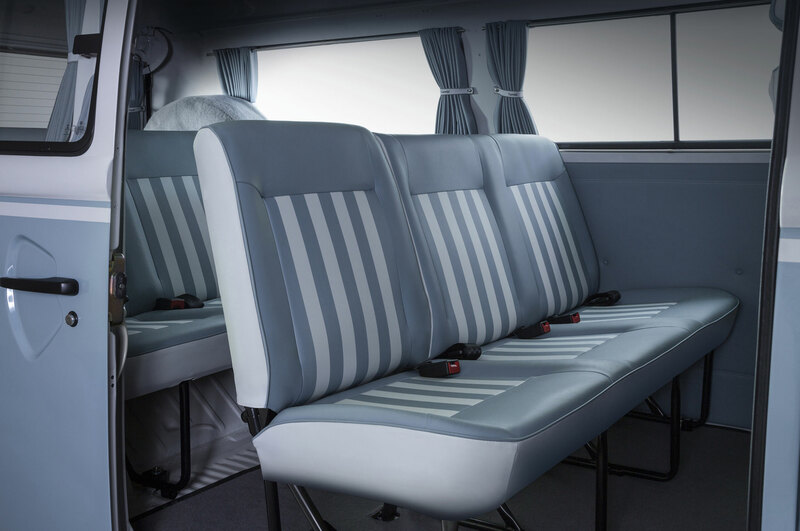 The body of these modern versions showed only minor differences compared to the German kombis of the 1970ies, like a slightly elevated roof, small differences on the lower section of the driver and passenger door and, most prominently, a large radiator grill at the front as these buses were equipped with water-cooled engines since 2005. The German Wikipedia entry on the T2 has a section on the Mexican and Brazilian T2, the “T2c” for which unfortunately no English translation exists yet. Production now ends because of increased safety and emission standards. From 2014 on all new cars in Brazil need to feature airbag safety systems. Apparently too difficult to introduce such a complex system in a car where the basic design goes back to 1967. 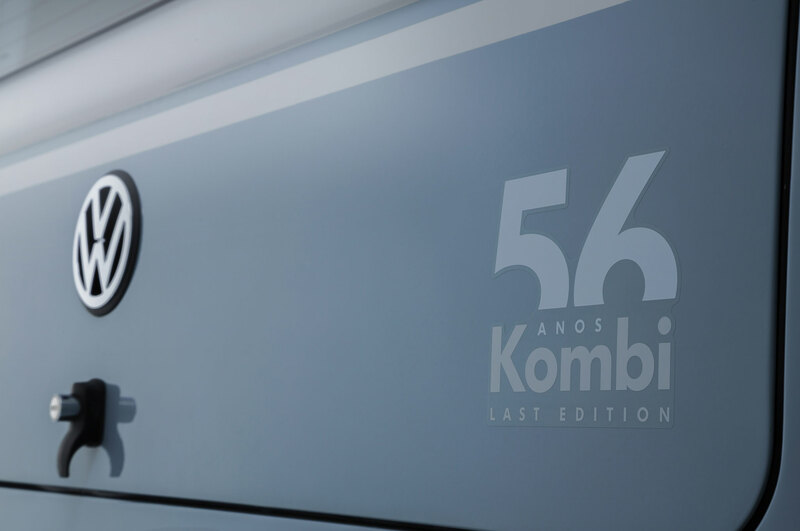 Volkswagen Do Brazil commemorates 56 years of production of the Kombi in Brazil with a beautiful final Last Edition – originally limited to 600 buses, then increased to 1200 buses, see the photos below. 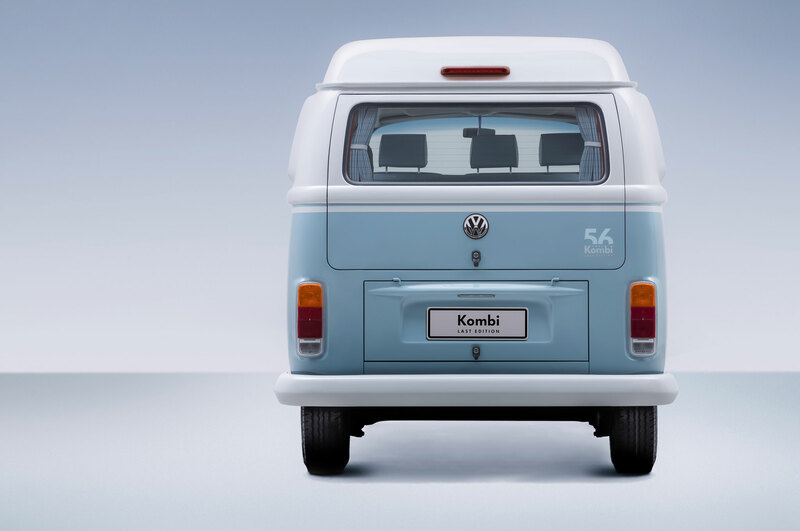 Some links if you want to read more: This New York Times article beautifully sums up why the kombi was so successful – because it was, in a modest and unpretentious way, sufficient. There is an informative article from Automotive.com (“The Bus Stops Here”) where also the photos below are taken from. Here is a link to an article in the British newspaper The Indendent. Finally a gallery of photos, some truely beautiful, on the web site of the british newspaper The Guardian. Photos below from Volkswagen of Brazil.